Woody. 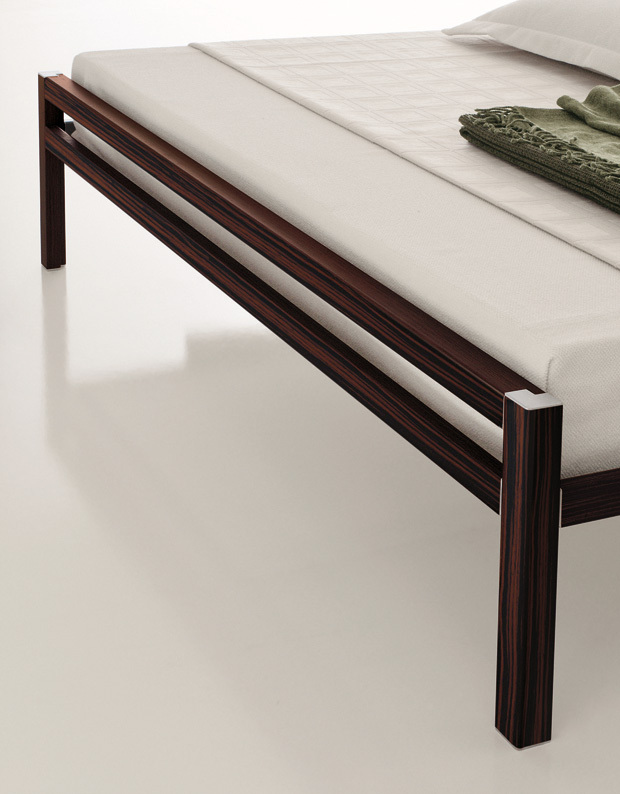 Bed and night table with a linear shape, designed and manufactured with an innovative technology that wraps and moulds wood into a resistant aluminum structure. Wood finishes in ebony and “wreck” oak. A large choice of sizes in width and length. There are four versions: headboard 60 or 80 cm. 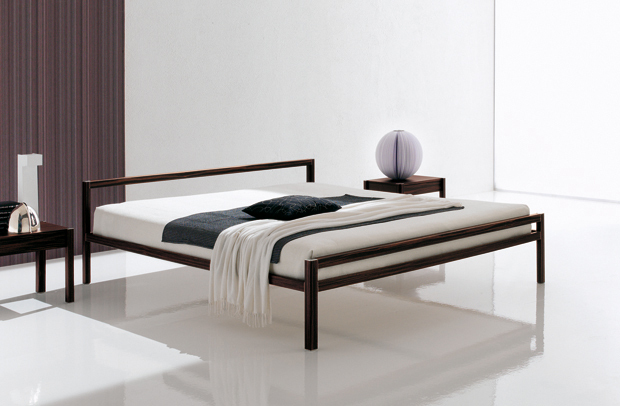 high, with or without internal wood panel, and canopy bed.